Some 50,000 credit and debit cardholders may have their information exposed following a security breach at Global Payments. The breach occurred sometime between between Jan. 21, 2012 and Feb. 25, 2012. 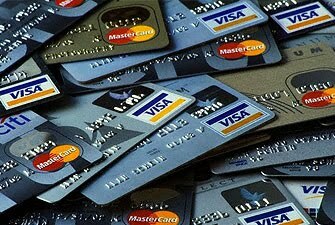 Both Visa and MasterCard have confirmed they have warned U.S. banks that a credit card processor was reportedly breached. Both firms say their own security systems were not compromised. MasterCard said law enforcement has been notified of the matter and an "independent data security organization" is conducting a forensic review of the matter. "MasterCard's own systems have not been compromised in any manner," a company spokesman said in a statement. The company will "continue to both monitor this event and take steps to safeguard account information." Because it sits in this middle ground directing where payment information goes, an attack on its system would leave a lot of private financial data exposed. Alerts sent out to U.S. banks late last week advised them that certain cards may have been compromised. "While the scope and details of the attack are not yet known, it shows that three years after the Heartland Payment Systems breach of 130 million credit card numbers, credit card data is still vulnerable," Roiter said.